Kingston, Ontario – PGMC/ACCRA is excited to announce that the ACCRA brand of premium graphite shafts will be represented at both the 2015 PGA Merchandise show demo day and in the Orange County Convention Center during the show. The International Clubmakers Guild (ICG) has secured a booth on both the driving range during the demo day on January 20th and a private room (W209-B) in the Orange County Convention Center on January 21st through Friday January 23rd. ACCRA is proud to be involved in both locations and invite professional Clubfitters to find us on the driving range or visit the ICG room and meet the ACCRA team. “The ICG is an innovative forward thinking association dedicated to clubfitters, ACCRA is proud to be a part of the IGC initiatives at the 2015 PGA Merchandise show” stated Gawain Robertson (Co-Founder-ACCRA), “We look forward to using this platform to introduce a number of new products for 2015. The Guild and ACCRA share the same passion of growing awareness of the benefits a golfer gains by visiting a professional clubmaker.” continued Robertson. “The PGA Merchandise show is an excellent opportunity for ACCRA to make direct contact with professional clubfitters from around the world. The addition of a hitting area on the demo range, a booth at the convention center combined with our annual golf outing ensures that ACCRA will be well represented at the show” stated Dave Makarucha (co-founder ACCRA) “Our relationship with the ICG and their members has made ACCRA’s return the the PGA show proper a possibility” continued Mr. Makarucha. The PGA Merchandise show is a unique opportunity for the entire golf industry to meet at on time, under one roof. ACCRA has always looked at the PGA show as a great chance to interact with professional clubfitters and PGA professionals. For 10 years ACCRA has hosted 140 of the world’s most influential clubfitters and clubmakers for a day of sharing ideas, discussing the industry and golf! 2015 will be no exception as the Monday event is virtually sold out. ACCRA supplies only the world’s best professional clubfitters with Tour proven premium graphite shafts. Certified ACCRA club fitters are the best of the best. For more information on ACCRA Golf Shafts please visit the ACCRA website. (PGMC/ACCRA – Kingston Ontario) ACCRA Premium Golf Shafts is proud that the 2014 RBC Canadian Open Champion trusted an ACCRA shaft in his Titleist driver. The North Carolina State grad from Durban, South Africa won the prestigious event carding a 30 on the back nine of the final day. He led the entire field hitting 84% of the fairways for the week. This victory moved him into the top 25 in the FedEx Cup points standings and into this weeks WGC Bridgestone Classic. In 2013, he was custom fit by Cool Clubs in Scottsdale Arizona to an ACCRA Tour Z ST 55 M4 shaft in his Titleist driver and since that time, he has consistently been in the top 5 of driving accuracy on the PGA Tour. The 4th place finisher leads the PGA Tour in top 10 finishes, ranks 22nd on Tour in driving accuracy and was also professionally fit by Cool Clubs and uses a similar customized ACCRA Tour Z ST 55 M4 shaft in his Bridgestone driver, with different tipping. He also trusts an ACCRA Tour Z LS85 in his Ping G30 3 wood and a DyMatch 2.0 ST-H in his Ping hybrid. “The Tour Z ST 55 continues to win on Tour, proving once again that ACCRA produces the most stable and consistent super lightweight shafts in the industry,” said Ron Graham, ACCRA PGA Tour Rep. “On tour we see players testing different lightweight shafts but usually return to traditionally weighted products. The ACCRA Tour Z ST 55 and recently added, ACCRA CS1 50, have changed players’ outlook on lightweight shafts. These shafts offer all the strength of a 65-70 gram shaft with the speed of 50-55 grams.” continued Graham. All ACCRA shafts offer “Constant Flex Technology“. This enables a professional clubfitter to comfortably fit any golfer to any weight ACCRA shaft as once they have determined the optimal flex. The flex, stability and profile will not change from weight to weight within a model of ACCRA shafts. “ACCRA is dedicated to developing shafts for all levels of discerning golfers, and top ranked professional golfers are no different. Each of the three recent champions went through a fitting process similar to what any golfer would experience when visiting a certified ACCRA fitter,” said Gawain Robertson, ACCRA co-founder. “All ACCRA shaft designs are developed with custom fitting in mind. Our belief is that the only way to optimize a golfer’s potential is through professional custom fitting, and this is why ACCRA shafts are only available through being professionally fit by a network of certified ACCRA fitters on every continent,” continued Robertson. ACCRA premium graphite shafts are crafted using the highest modulus and most technologically advanced materials available. ACCRA has engineers to create the best products without any compromises. The recent success of ACCRA’s latest introduction gives remarkable credibility to the technologies utilized in all ACCRA shafts. These shafts are available through certified ACCRA fitters. Premium Golf management Corp (PGMC) owns all ACCRA trademarks. For more product information, or to locate a certified ACCRA fitter near you, please visit www.accragolf.com. For more information on the entire ACCRATour Z line of shafts, please visit the ACCRA YouTube channel (https://www.youtube.com/watch?v=imcWy4a7WUo) and ACCRA website (www.accragolf.com), or contact a certified ACCRA fitter near you. KINGSTON, Ontario (April 20, 2014) – ACCRA premium golf shafts is excited to congratulate the champion and runner up of the 2014 RBC Heritage Championship. Played on the famed Harbour Town Golf Links in Hilton Head South Carolina and featuring one of the years strongest fields. The champion, a Georgia Tech grad, holed a bunker shot on the 72nd hole to narrowly defeat the former world #1 ranked golfer in the world. ACCRA is proud that each of these amazing professionals have chosen to trust ACCRA golf shafts for quite some time, and many victories, now. The Sea Island Georgia resident has moved to third in the 2014 FedEx Cup points race, 4th in official PGA Tour money list, 1st on Tour in Top Tens, and caps a streak of 4 consecutive top 5 finishes. This event featured 3 players in the top 10 custom fit with ACCRA high performance golf shafts. This champion was custom fit to a Bridgestone 9.5 J Series driver with an ACCRA Tour Z ST55 premium shaft by Justin Nelson of Cool Clubs in Scottsdale, Arizona in early 2013, since then he has been on quite a ride that has included more than $7M of PGA Tour winnings and 4 PGA Tour wins. “ACCRA is proud to be on the cutting edge of golf shaft design, our design philosophies and use of high modulus composite materials, continuously creates new standards in the industry” stated Gawain Robertson (Co-founder ACCRA). “The PGA Tour is the ultimate location to get instant feedback of new technologies, and success such as this certainly continues to add credibility and respect to the ACCRA brand.” continued Robertson. ACCRA certified fitters are located in virtually every major golf center in North America, Europe, Asia, Africa and South America. ACCRA premium golf shafts are exclusively available through the world’s best club fitters because it just does not make sense to buy off a rack. ACCRA shafts have always been designed to enable the world’s best club fitters to have multiple options. This ensures that discerning golfers of all levels can be properly fit to maximize launch conditions for increase distance and accuracy. ACCRA premium graphite shafts are crafted using the highest modulus and most technologically advanced materials available. ACCRA has engineers to create the best products without any compromises. The recent success of ACCRA ’s latest introduction gives remarkable credibility to the technologies utilized in all ACCRA shafts. These shafts are available through certified ACCRA fitters. Premium Golf management Corp (PGMC) owns all ACCRA trademarks. For more product information, or to locate a certified ACCRA fitter near you, please visitwww.accragolf.com . KINGSTON, Ontario (December 16th, 2013) – The Sea Island, Ga. resident, and 8th ranked golfer in the world, continued a year of stellar golf with a win at the 2013 Franklin Templeton Shark Shootout. The Bridgestone staff player teamed with another Sea Island resident to run away from the field and win this championship. Early this year, this Georgia Tech graduate was custom fit by Justin Nelson of Cool Clubs into a Bridgestone 9.5 J series driver and ACCRA Tour Z ST 55 M4 shaft. Since that time he has been on quite a roll! It has been quite a year for this golfer as he has won twice on the PGA Tour in 2013; at the President’s Cup and now the Shark Shootout. Players trusting ACCRA golf shafts on the PGA Tour have amassed three victories and there are currently two players in the top 10 of the World Golf Rankings. “ACCRA truly believes that every golfer should be properly fit for every golf club in their bag by a professional club fitter/builder. In the long run, this will provide every discerning golfer with better results,” stated Gawain Robertson, ACCRA Golf co-founder. 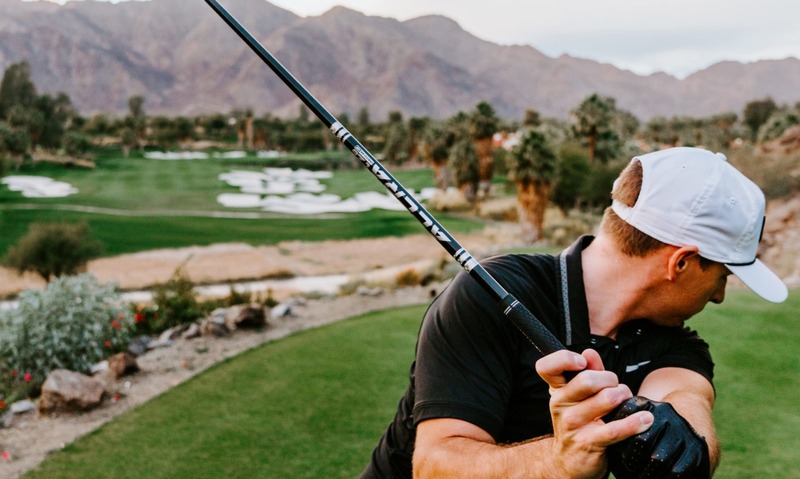 “In this case, a PGA Tour player visited Cool Clubs in Scottsdale, Arizona and was fit by master club fitter, Justin Nelson, to an ACCRA Tour Z ST 55. After being fit he went on to have his best year ever including two PGA Tour victories,” continued Robertson. ACCRA certified fitters are located in virtually every major golf hot spots in North America, Europe, Asia, Africa and South America. ACCRA Premium Golf Shafts are exclusively available through the world’s best club fitters because it simply does not make sense to buy off a rack without being custom fit. PGA Tour players, elite amateurs and discerning golfers of all levels can benefit by having their clubs matched to their swing. ACCRA shafts have always been designed to enable the world’s best club fitters to have multiple options. This ensures that serious golfers of all levels can be properly fit to maximize launch conditions for increase distance and accuracy. For a Second straight year!! Kingston, Ontario (November 25th, 2013) – ACCRA Premium Golf Shafts is proud that a recent #1 ranked player in the world continues to trust ACCRA golf shafts in both his driver and fairway wood. His custom fit TaylorMade SLDR driver was fit with an ACCRA Tour Z ST65 shaft and his 3 wood featured an ACCRA XC65 shaft. This player has trusted ACCRA shafts for more than 7 years and ACCRA is honored to have such a world-class player continue to trust ACCRA. This completes a fantastic finish to the 2013 season for players trusting ACCRA. A 3rdplace finish on the 2013 PGA Tour money list, A top 5 finish at the CIMB Classic, 3 top 10’s (T2, T4, & T7) at The McGladrey Classic, a 3rdat the OHL Classic at Mayakoba, and now a championship victory. This Northwestern grad won the final tournament of the 2011 PGA Tour season to secure his first PGA Tour money title and weeks later he did the same on the European Tour. He also obtained “Player of the Year” status, as well as the #1 golfer in the world ranking. The 2012 season was also successful as he maintained the #1 world ranking for most of the year. A swing change in 2013 has now proved to pay off with this prestigious victory at the 2013 Dunlop Phoenix championship. The victory at the prestigious Dunlop Phoenix in Miyazaki, Japan marked his first victory of the season and sets this great champion up for another run at the #1 position in the world rankings in 2014. Recent Dunlop Phoenix winners include Tiger Woods (twice), Thomas Bjorn (twice), Ian Poulter, Padriag Harrington, Lee Westwood and David Duval. “Professional golf is a great proving ground for new technologies. The ACCRA Tour Z line of shafts has enjoyed unprecedented success on PGA Tours worldwide since it’s inception 2 years ago. When players using our shafts achieve success, it just reaffirms the importance of going through a proper fitting and utilizing an excellent product,” said Ron Graham, ACCRA Tour Rep. “On tour we take time to find the ACCRA shaft that optimizes a player’s launch conditions and, in each case, the renowned ACCRA feel plays a big part in any professional trusting ACCRA shafts,” continued Graham. ACCRA Tour Z shafts have been on quite a run in the past two years; in 2013 Tour Z shafts have accumulated wins around the globe including a WGC event, the Memorial Championship, the Presidents Cup and now the Dunlop Phoenix in Japan. “ACCRA has always been dedicated to developing shafts for all levels of discerning golfers and top ranked professional golfers. All Tour players that choose to trust their game with ACCRA go through a fitting process similar to what any golfer would experience when visiting a certified ACCRA fitter,” said Gawain Robertson, ACCRA co-founder. “All ACCRA shaft designs are developed with custom fitting in mind. Our belief is that the only way to optimize a golfer’s potential is through professional custom fitting, and this is why ACCRA shafts are only available through being professionally fit by a network of certified ACCRA fitters on every continent,” continued Robertson. KINGSTON, Ontario (June 6, 2013) – PGMC/ACCRA extends our sincerest congratulations to the 2013 Champion of the Memorial Tournament presented by Nationwide in Dublin, Ohio. Played on the famed Miurfield Village Golf Course against one of the years strongest fields, the Georgia Tech grad birdied the 72nd hole to win by 2 shots. The Sea Island Georgia resident has moved to second in the 2013 FedEx Cup points race, second in official PGA Tour money earned with more than $4,000,000.00, and, is now only the second player on Tour with multiple wins this season. This now makes two players in the top 7 of the world golf rankings, choosing to trust their games with an ACCRA Tour Z shaft. This champion was custom fit to a Bridgestone 9.5 J Series driver with an ACCRA Tour Z ST55 premium shaft by Justin Nelson of Cool Clubs in Scotsdale, Arizona just before his first win of the season at the WGC Accenture Match Play. “ACCRA golf is a huge proponent of the art and science of custom clubfitting. PGA Tour players are professionally custom fit on a weekly basis by manufacture’s tour vans that are onsite at each event. This case was a little different. The Champion choose to be fit by a brand agnostic professional clubfitter offsite from the PGA Tour. Using the latest in technology and decades of golf club and golf shaft knowledge, Cool Clubs determined this combination of Bridgestone and ACCRA was the best one to help this Ryder Cupper maximize his launch conditions,” stated Gawain Robertson, co-founder of ACCRA. “The coolest part of this story is that any golfer can visit a certified ACCRA fitter, like Cool Clubs, and receive a tour fitting experience just like the winner of the 2013 Memorial Tournament,” continued Mr. Robertson. ACCRA certified fitters are located in virtually every major golf center in North America, Europe, Asia, Africa and South America. ACCRA premium golf shafts are exclusively available through the world’s best clubfitters because it just does not make sense to buy off a rack. KINGSTON, Ontario (February 25, 2013) – ACCRA Premium Golf Shafts has locked in another first place finish in the Championship Match of the WGC-Accenture Match Play Championship at The Golf Club at Dove Mountain in Marana, AZ. Being one of the most consistent players on Tour and becoming the 8th ranked player in the world, this Georgia Tech graduate became the second player in the last three years to win this Match Play Championship without ever playing the 18th hole in any of his matches. The WGC-Accenture Match Play Champion was fit by Cool Clubs with an ACCRA Tour Z ST 55 M4 shaft, fit straight into his Bridgestone driver head. ACCRA Tour Z shafts feature “constant flex technology”, this means that Tour Z shafts 55 grams through 85 grams, maintain the identical flex profile, torque. and general shaft dynamics. This technology, combined with high modulus materials and the Tour Z super thin wall design enables even the worlds best golfer to drop the weight of the shaft without sacrificing stability. Unit 11 – 993 Princess Street, Kingston, Ontario, Canada, K7L 1H3. Kingston, Ontario (November 19, 2012) – ACCRA Premium Golf Shafts is proud to have an incredibly skilled player who trusts his golf game to custom fitted ACCRA shafts in his TaylorMade RBZ driver and RBZ 3-wood. One year ago, this Northwestern grad won the final tournament of the 2011 PGA Tour season to secure his first PGA Tour money title win and weeks later he did the same on the European Tour. This talented golfer also obtained “Player of the Year” status, as well as the no. 1 golfer in the world ranking. The 2012 season has been as successful as his last by maintaining a no. 1 world ranking until the PGA Championship in August. But as of this past weekend, things just got even better! Now back to no. 2 in the world rankings, the 2012 Dunlop Phoenix champion has trusted ACCRA shafts for more than five years and his switch to the new Tour Z model last season has resulted in a significant rise in total driving statistics. The victory at the prestigious Dunlop Phoenix in Miyazaki, Japan marks his third worldwide win this season and sets this great champion up for another run at the no. 1 position in the world rankings for 2012. Recent Dunlop Phoenix winners include Tiger Woods (twice), Thomas Bjorn (twice), Ian Poulter, Padriag Harrington, Lee Westwood and David Duval. “Professional golf is a great proving ground for new technologies. The ACCRA Tour Z line of shafts has enjoyed unprecedented success on PGA Tours worldwide this fall. When players using our shafts achieve success, it just reaffirms the importance of going through a proper fitting and utilizing an excellent product,” said Ron Graham, ACCRA Tour Rep. “On tour we take time to find the ACCRA shaft that optimizes a player’s launch conditions and, in each case, the renowned ACCRA feel plays a big part in any professional trusting ACCRA shafts,” continued Graham. ACCRA Tour Z shafts continue its exciting streak of wins. At the Ryder Cup, two stalwarts of the victorious European team used Tour Z shafts. 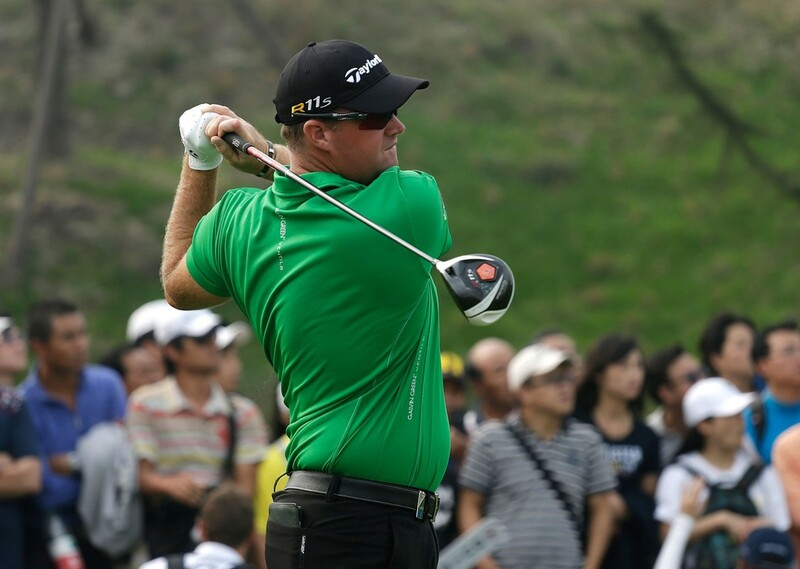 The recent winner of the Grand Slam of golf featured a TaylorMade R11s driver, custom fit with an ACCRA Tour Z 65+ shaft. One week later, the BMW Championship champion also chose to fit his Taylormade R11s driver with an ACCRA Tour Z 65+. Who is the hottest player in professional golf? Think for a second…..Rory? Well, think again! A couple of weeks ago, Peter Hanson went head-to-head with Rory at the BMW Championship at Lake Malaren Golf Club in Shanghai, China. One guy used ACCRA and won…… the other guy lost!!!! Peter Hanson has enjoyed a breakthrough season and we are proud that, ACCRA fitter and good friend, Lyndon Wilson from Golf Studio 360 fit Peter to an ACCRA Tour Z 65+ last winter. This was just prior to Hanson’s year long tear on tour. Lyndon also fit Hanson to KBS Tours and as well he had his hand in hooking up Justin Rose to KBS a couple of seasons ago.